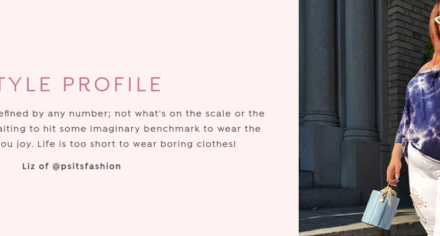 One of the biggest challenges facing plus size fashion is the dearth of brick-and-mortar locations. If I wanted to go shopping in person right now, I’d have as meager amount of options where I could even potentially find something in my size…Macy’s, Forever 21, JC Penney, maybe a few other department stores…and I live by one of the most major shopping destinations in the world! It’s an absolute shame. 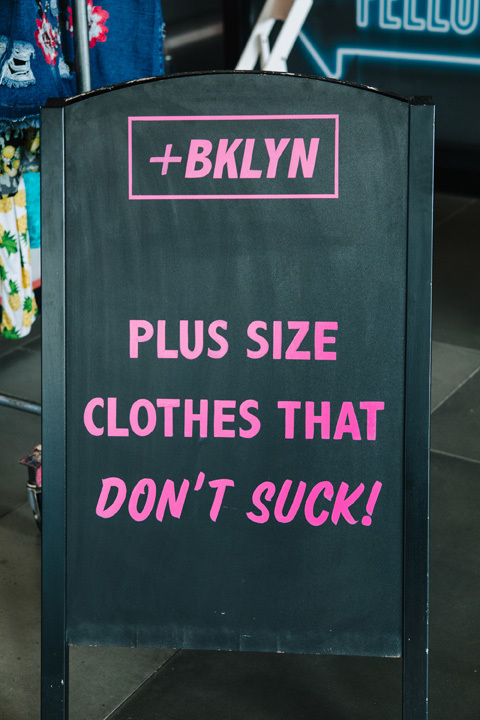 That’s why I wanted to do something about it to help bring in-person shopping to plus size people and help show brands that a brick-and-mortar presence is viable in the plus market; hence why the PS BKLYN pop up was born! The first one was SUCH an amazing turn out, and I’ve had so many people reach out and inquire about the next one…so I’m SO excited to announce that the PS BKLYN Plus Pop Up Part Two is happening the first weekend of November (Nov 3 & 4)! 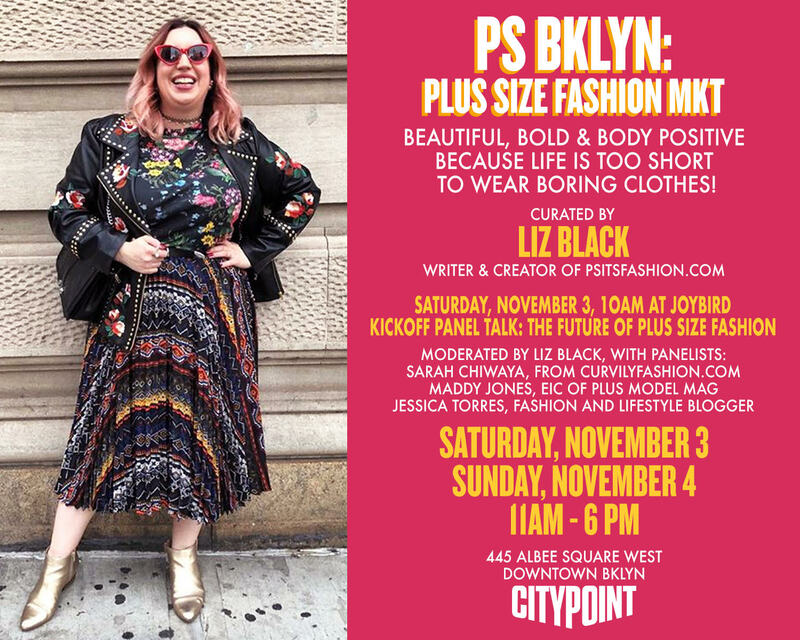 This time, there will be a kick-off panel at 10am on Saturday, November 3rd where we will discuss the “Future of Plus Size Fashion.” I will be moderating alongside some of your favorite bloggers as panelists. The event is open to all, no RSVP needed! Then, right after the panel the pop up will begin at 11am, one hour earlier than last time to give you all more time to shop! 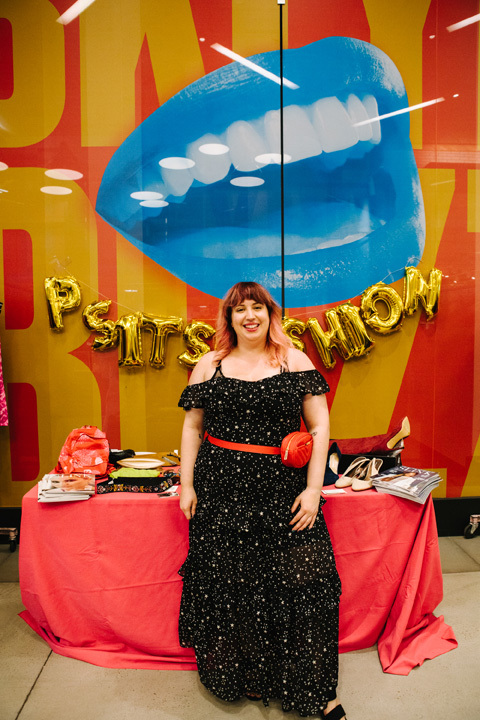 I’m so excited about PS BKLYN 2.0 – there are so many new plus size brands that launched since my first pop up, and they’ll all be participating! Come check out Tamara Malas, Maree Pour Toi, Soncy, and Marste – all brands that didn’t even exist in May! There will also be a lot of your favorites from before as well, like All 67, Curves With Purpose, Plus BKLYN, Courtney Noelle, Jibri, See Rose Go, French Sole, and more! Also, we’re bringing back some of your favorite bloggers (including myself), selling things from their closets at a total steal! So come on down to City Point in downtown Brooklyn on November 3rd & 4th to shop those brands, meet your favorite bloggers, win prizes, and more!